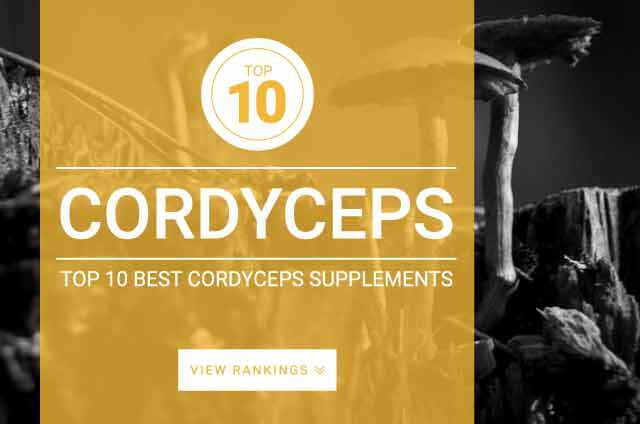 Onlinestrength analyzed 10 best-selling Cordyceps supplements in the United States for cordyceps content (cordyceps sinensis) and heavy metal (arsenic, cadmium, lead, mercury) contamination. Cordyceps have a long history in traditionally Chinese Medicine as being a bioactive mushroom with nutritionally benefits. Used as a ‘tonic,’ said to generally strengthen the entire body, particularly following illness. Cordycep mushrooms promote overall health. You’ll feel healthier in all aspects of health with more energy. Cordyceps have the unique ability to calm and support the nervous system to help deal with chronic stress, anxiety, cancer, blood pressure, male sexual libido, sports performance, cognitive performance, fatigue, and kidney protection. Cordyceps are mainly supplemented for boosting libido, anti-fatigue, physical performance improvements, and to strengthen the immune system to prevent future illness. Cordyceps can be purchased as a raw food, in tablet form, capsule form, and powders in most whole food stores and over the internet. Typical traditionally recommend dosage of cordyceps range from 5,000 mg – 10,000 mg per day. The very few research studies involving cordyceps used dosage range of 1,000-3,000mg daily.